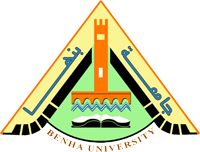 Departments of 'Anatomy and 2Forensic & Applied Toxicology*, Faculty of Medicine, Benha University, Egypt Abstract: Objectives: To determine structural and ultrastructural changes in adult rat liver induced by-cisplatin (Cis) and to evaluate the impact of drug withdrawal and the effect of silymarin on cisplatin heptotoxicity. Material & Methods: Forty male albino rats were divided into 4 equal groups: Control group kept on normal diet without medications, Positive control (Cis-1) group received cisplatin every other day for 10 injections, Withdrawal (Cis-2) group received cisplatin every other day for 10 injections followed by drug withdrawal for 4 weeks from the last injection and Study (Cis-3) group received cisplatin every other day for 10 injections plus a daily oral dose of silymarin. Cisplatin was injected intraperitoneally in a dose of lmg/kg but silymarin was given orally in a dose of 16 mg/kg dissolved in 2 ml distilled water and given orally by gastric tube. Both control and study groups were sacrificed, liver spaimen were obtained and prepared for light (L/M) and electron (E/M) microscopic examination. Results: L/M examination of Cis-I specimens showed loss of normal hepatic architecture with diffuse cytoplasmic vacuolations of most hepatocytes, some hepatic nuclei are vacuolated and eccentric with areas of focal necrosis of hepatocytes, focal hemorrhage and small areas of degeneration among hepatocyte. Connective tissue is increased around the dilated central vein (CV) and portal tract (PT). PAS staining showed vacuolated hepatocytes with absence of glycogen granules. Cis-2 specimens showed restored hepatic cords with congested CV, connective tissue is increased around CV and extended to nearby blood sinusoids. Most hepatocytes have good positive PAS for glycogen granules. In Cis-3 specimens, few hepatocytes were vacuolated, PT appeared normal and hepatocyte cytoplasm showed good positive PAS reaction for glycogen granules. E/Iv1 examination of Cis-1 specimens showed marked intranuclear and intracytoplasmic vacuolations, decreased number of organelles and the nuclei of some hepatocytes are shrinked with irregular outlines. In Cis-2, hepatocvtes' architecture was normal with rounded nuclei and cytoplasm contains numerous intact mitochondria. Most hepatocytes contain few vacuoles; however some hepatocytes show many vacuoles. Cis-3 group showed normal hepatoortes with rounded nucleus and nucleolus, cytoplasm contains numerous organelles and numerous intact mitochondria. Conclusion: Oral administration of silymarin ameliorated the deleterious hepatic structural and ultrastructural toxic effects of cisplatin. Cytotoxic drug withdrawal allowed partial restoration of hepatic architecture so silymarin administration was recommended till complete hepatic convalescence to augment the effect of drug withdrawal. [Gamal Abdel Salam, Ahmed M S. Hegazy, Ali M All and Ahmed H. Rizk. Silymarin Ameliorates Hepatotoric Effect of Cisplatin: A Structural and Ultrastructural study of Adult Albino Rats.